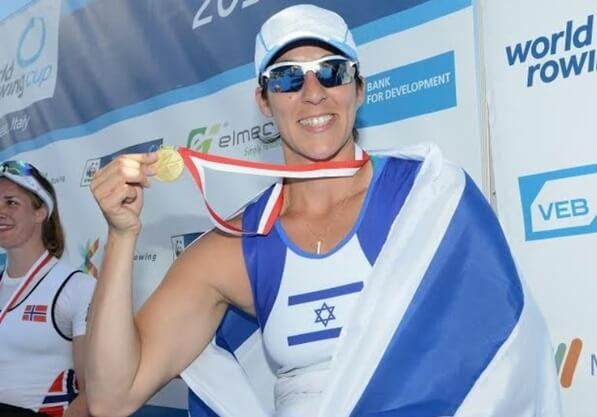 The Israeli rower crossed the finish line with a time of 5:15.77. Samuel and Skarstein darted out in front of the rest of the field of competitors at the opening gun. Throughout the race, it was a two-woman contest. By the time the two women reached the last stage of the race, Samuel put more space in between her and Skarstein. In the end, Samuel defeated the Norwegian by a full six seconds. Samuel has been guided by her Italian coach, Paula Grizati. She has also trained extensively at The Daniel Rowing Center in Tel Aviv and is backed by Beit Halochem Tel Aviv where she is also a member of the wheelchair basketball team. Tel Aviv Beit Halochem Olympic Sailors Reuven Magnegy and his partner Julia Chernoy came in 4th Place in the couples sailing category.